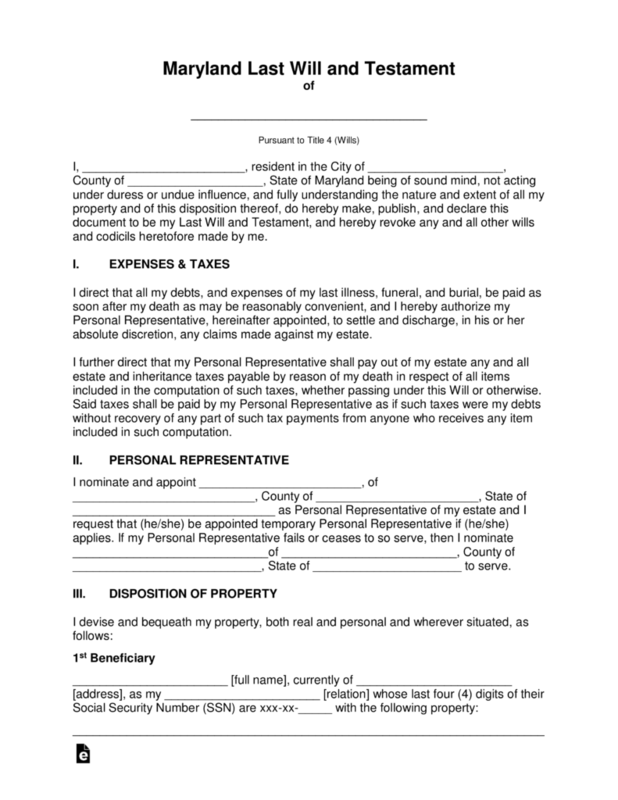 The Maryland Last Will and Testament is considered a legal document that will state in writing how the testator (the person preparing the documents) would like to have their estate distributed upon their death. Some of the most important distributions will be bank accounts, fiduciary assets, life insurance policies, digital property, real estate, personal property among others. With this document, the testator will know that the continued protection of their families will remain in place as well, their contributions to charities and gifts to friends will be secured. This document must be accompanied by a Proof of Execution form and must be registered with the state. The document will require two witness signatories and a notary acknowledgement. 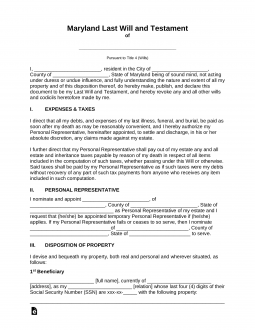 Proof of Execution (Form RW1102) – This should be attached to any will. Registry – Use to find an office and register a signed will. The filing fee is $5. Signing (Section 4-102) – Signed by two (2) or more credible witnesses in the presence of the testator.